13 Hands Equine Rescue is constantly working on raising funds. If you would like to help us, the following is a list of what we need most, in priority order. Your donation is tax deductible. Blankets, turnouts, halters, etc. may be new or in good usable condition. We appreciate anything you might be able to provide. We were able to take the washing machine off our list because of a wonderful donor – thank you! There are two big items on our wishlist – a Polaris Ranger 570 vehicle and a 60′ round pen. Our property is enormous and delivering hay and grain to the paddocks can’t be done without a vehicle. If anyone knows someone that knows someone….. Or if you can make a donation of any amount it would be appreciated. Note Wish List as a comment. 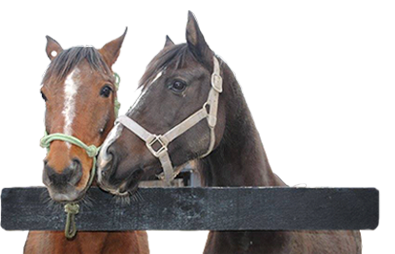 Items can be sent or delivered to us directly at 13 Hands Equine Rescue, 284 Guard Hill Road, Bedford Hills, NY 10507. Your name can be withheld if you would like to make your donation anonymously. If your items ship directly to us, we will mail you a donation confirmation note. Please consider visiting Amazon Smile and pick 13 Hands as your charity on record. For every purchase you make through Amazon Smile, Amazon will donate a percent of your purchase to 13 Hands Equine Rescue. It is super simple and the rescue will benefit from your shopping.